Total Carat Weight: 0.66 ct.
A true stunner, this diamond anniversary band is available in gold or platinum, several carat sizes, diamond qualities, and ring sizes. Featuring beautiful round diamonds, an elegant milgrain detail, and a shared prong setting, this ring can be paired with an engagement ring or worn alone. 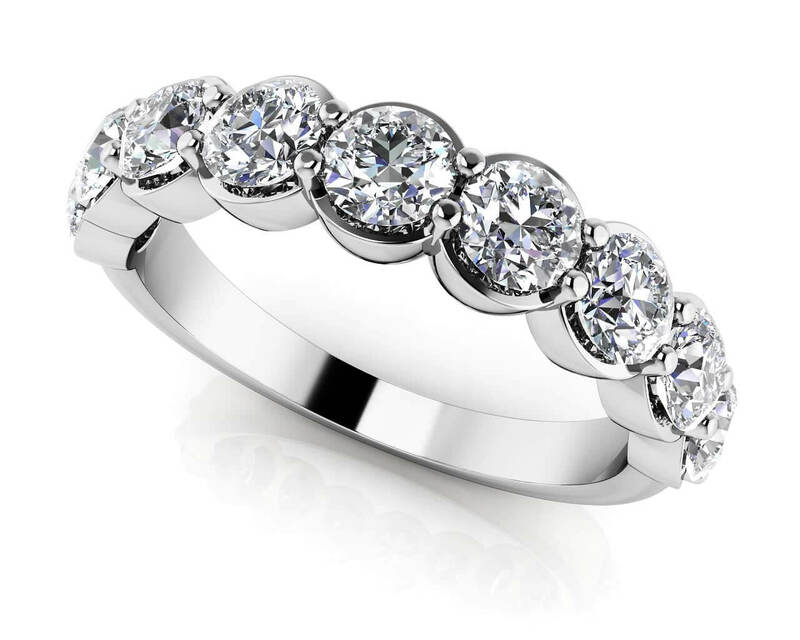 It makes a stunning wedding or anniversary ring she’ll definitely adore! Stone Carat Weight: 11X.060 ct.